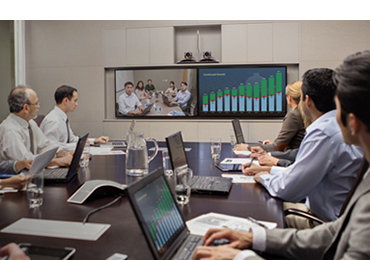 Whilst it is true that nothing can replace in person meetings, increasingly dispersed workforces and the need to reduce costs means that organisations are quickly adopting Video Conferencing as a way to connect professionals around the globe, whilst increasing productivity and reducing travel. 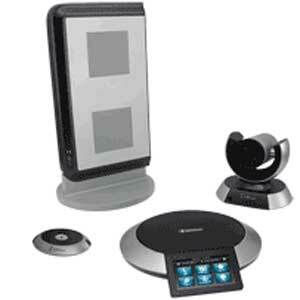 As a high end business solution requiring a large upfront investment, traditional Video Conferencing solutions have been kept free for high level strategic meetings. Now, with improvements in technology & communications, video solutions are increasingly being adopted at the desktop, at home, and for mobile workers, and are becoming mission critical to a businesses everyday workflow. 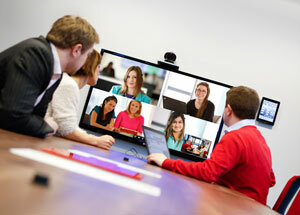 With over 150 years team experience in supplying, installing and supporting Video Conferencing and communications solutions, and accredited partners of all the world’s leading communication providers, VideoCentric provide expertly tailored Video Conferencing solutions, designed to work with your environment and help you reach your business goals. 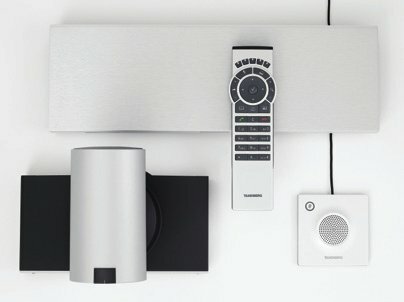 VideoCentric is the UK’s leading integrator for Video Conferencing and Collaboration Solutions, offering unbiased solutions based on knowledge and experience. We can demonstrate every single solution we sell, side-by-side, and our expert consultants are here to help your business improve collaboration, reduce costs and meet your communication goals. To ensure the highest Return on Investment is made, and the real benefits are realised for your particular business, it is critical that your supplier understands your business and communication needs, and provides a full end-to-end solution that not only is interoperable with your current communications, but is futureproof, supported and understood from the inside out. We try to keep it as simple as possible for you with the UK’s most experienced team, unbiased and accredited with all the leading manufacturers, and with everyone of the leading systems ready for you to try, side-by-side, without the pestering sales and confusing marketing bias. Give us a call today on 0118 9798910 and we can work with you to ensure a cost effective design, successful deployment, and on-going expert support for your video communications environment. High quality communication is vital to any business, whether internal to the organisation, or external to clients & customers. 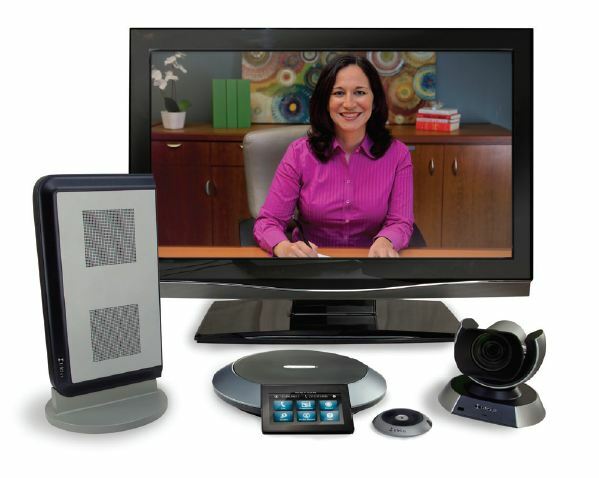 Grainy images, poor audio, jolty motion and dropped connections – a result of cheap and basic video conferencing implementation – are just not acceptable, and don’t provide the real benefits that can be gained from properly implemented video solutions. 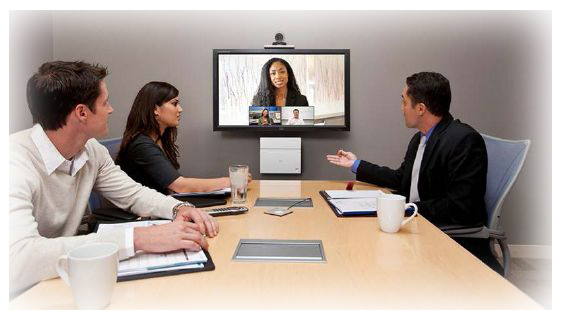 And Video Conferencing isn’t just a camera and a screen on a wall. In fact, video communication technology has taken decades to develop, and experience and knowledge is needed to provide the highest quality video and audio, securely, across IT networks, between businesses and to customers. 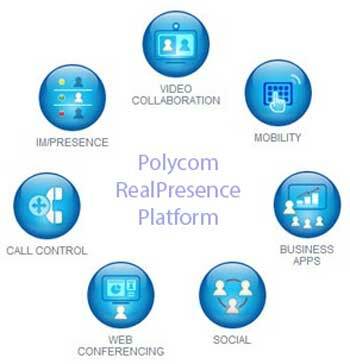 So although simplistic “video conferencing for consumers” has become mainstream in the last 10 years with the likes of Skype and Facetime, the reality is that in a business setting, professional video conferencing solutions backed by secure video network infrastructure are a must. 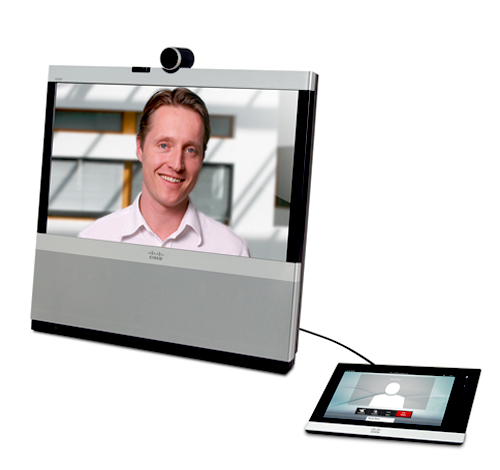 Thankfully, with proper advice from an experienced systems integrator and professional grade systems, video conferencing can enable the highest quality remote collaboration in an instant, whether this be in the boardroom, huddle room, at the desktop or at home. Speak to VideoCentric now about your organisations communication needs and we can help to design a solution that’s right for you. 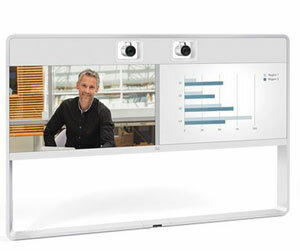 With the UK’s most highly experienced workforce, including an award-winning support team, based and trained in-house, and accreditations & partnerships with every leading manufacturer – Cisco, Polycom, Lifesize, Zoom, BlueJeans and more – VideoCentric can provide a full end-to-end solution designed to work with your business. We spend time getting to know you, your business & your goals – and then make communications work.